Hello! 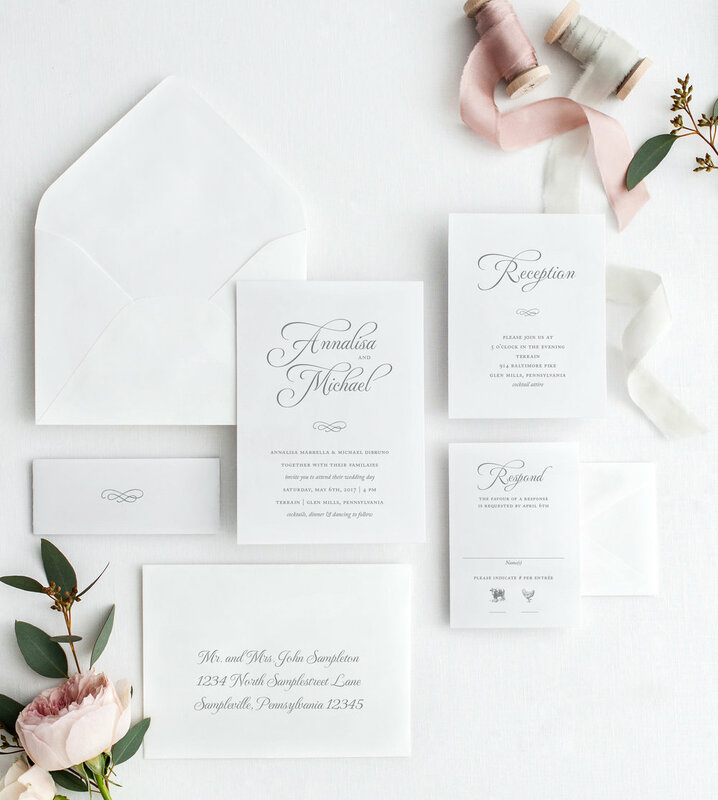 Queen Bee Paperie specializes in custom design for all of life’s special celebrations—births, weddings, showers, holidays, and more! The sky is the limit when it comes to a completely custom design for your special day. I would love to get to know you and your personal style! The Semi-Custom Collection offers a range of beautifully bespoke invitations, perfect for the couple looking for unique and organic wedding invitations, that's quick and affordable. Available for order online. Once you have submitted your order & wording (see below), I’ll follow up with an email to go over everything with you. Your proof will be sent via your personal and secured proof page (website) about 10-14 days after you’ve provided me with all the necessary information to start your order. This is your one chance to revise your wording/calligraphy. If more rounds of proofs are needed, a fee of $50 per round is charged. Standard production time is around 2 weeks + shipping time. Please allow an additional 2 weeks if you are adding on embellishments such as envelope addressing. After everything has been completed and quality checked, I will ship them to you via UPS and provide you with a tracking number. Once you receive your order, look over it to make sure everything looks great. Paper is heavy! A flat fee of $50 will be added to every order. Goods will be mailed once everything is paid for in full. Order in sets of 25, minimum order of 50 sets + $750 order.